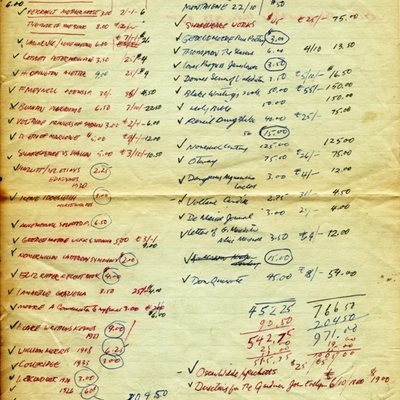 Item consists of a two page handwritten list of fine books by Allan Robb Fleming that may have functioned as a checklist, possibly noting the books he purchased in the UK and brought back to Toronto. Contains cross-references to a letter to his mother. Image includes two pages, first page includes obverse and reverse side listed as ASC06464p1, ASC06464p2. Second page listed as ASC06464p3. 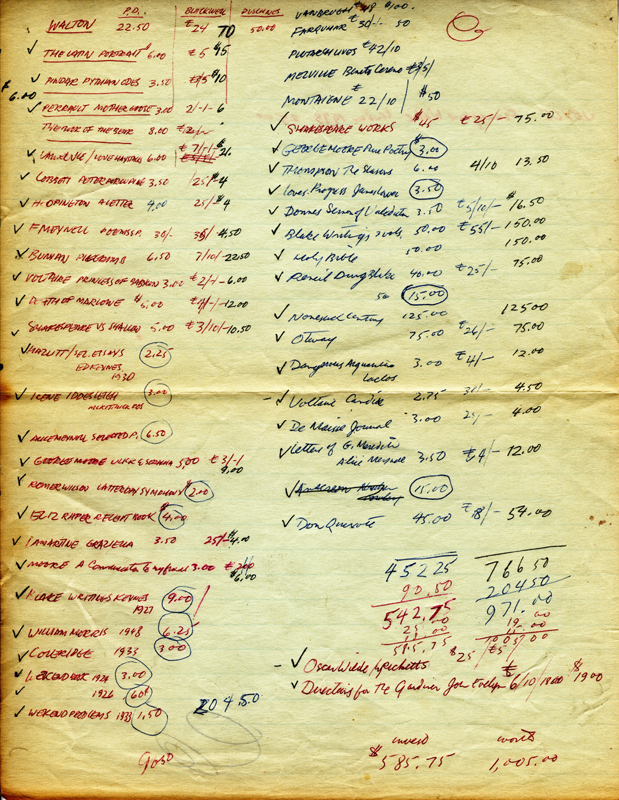 Allan Robb Fleming, “Book collection ,” York University Libraries | Clara Thomas Archives & Special Collections online exhibits, accessed April 24, 2019, http://archives.library.yorku.ca/items/show/2019.